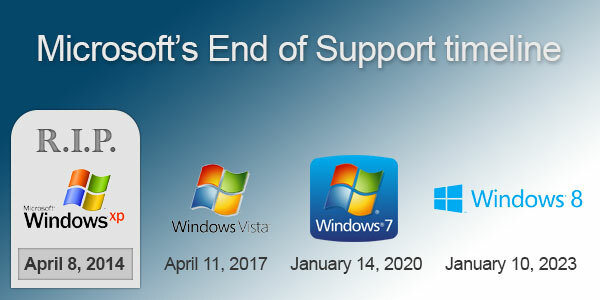 If any of your computers/servers are running Windows 7 or Server 2008, you should begin preparing to address these EOL operating systems. Additionally if you are required to meet any compliance standards, you should review whether these operating systems cause you to be out of compliance once they are End-of-Life. 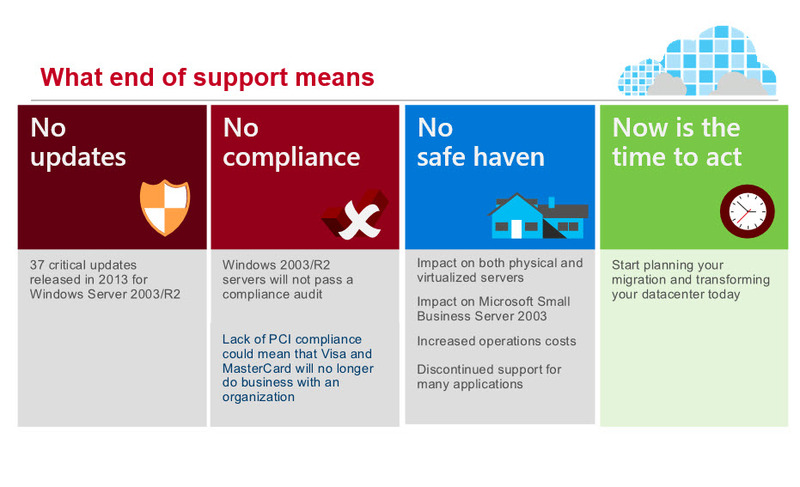 Soon after 1/14/2020, you can expect to see application developers, especially anti-virus products, announcing they will no longer support these operating systems. Therefore, continuing to use these operating systems after 1/14/2020 will not only put you at a higher risk for malicious attacks, you may also begin to experience compatibility issues with updates to programs. We would like to help make a plan for addressing these end of support and possible compliance issues, and invite you to contact us to answer any questions and review your options.